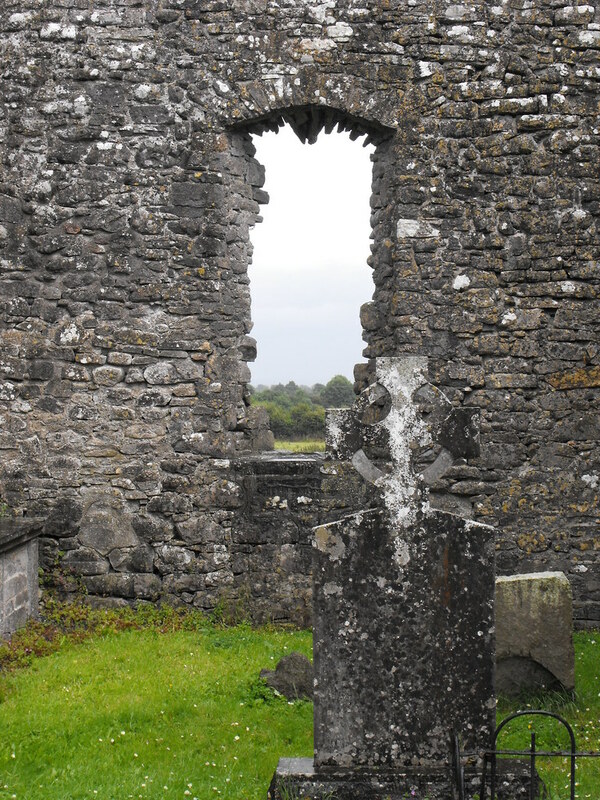 The Standing Stone: Errill Church, Co, Laois. Location – OS: S 222 780. 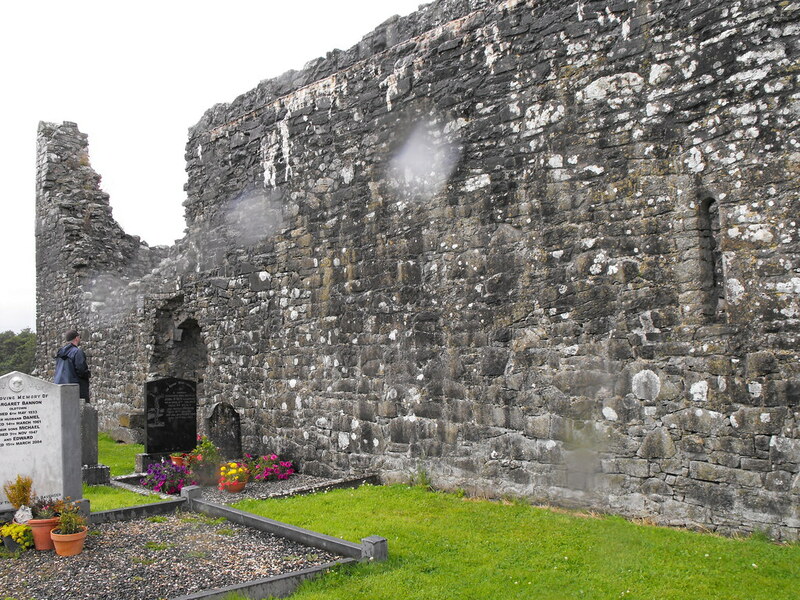 Opposite from Ballagharahin wayside cross and N from Ballagharahin tower house. 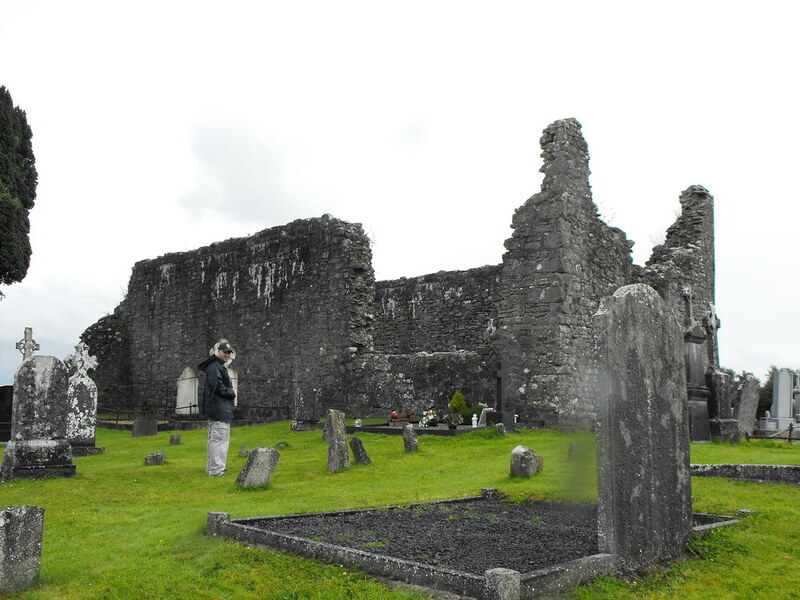 Description and History – The present remains are of a medieval church but the site dates back to the early Christian period when a monastery was founded by St. Kieran. Only grass covered wall footing remains of this foundation. 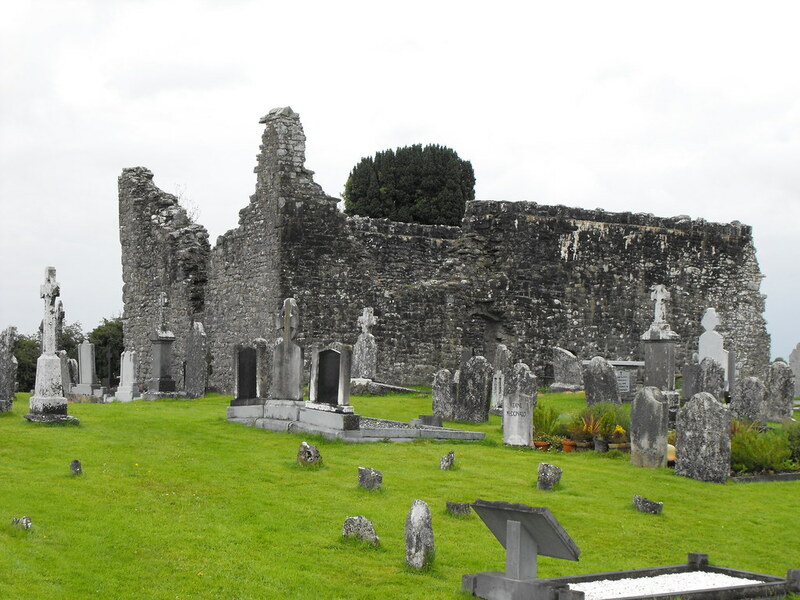 The medieval church is located in a graveyard and is 16.9m x 8.8m in size. 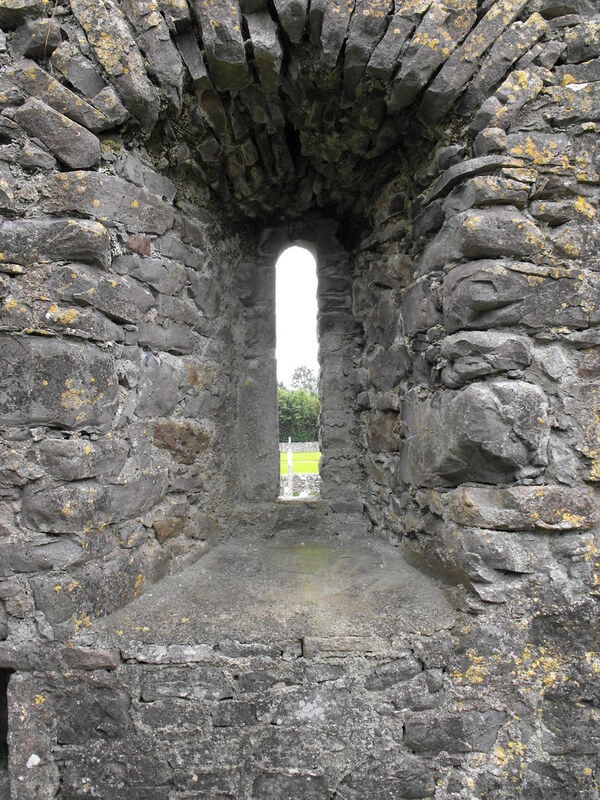 A doorway remains in the S wall and a nice rounded window in the S wall. Another window survives also. 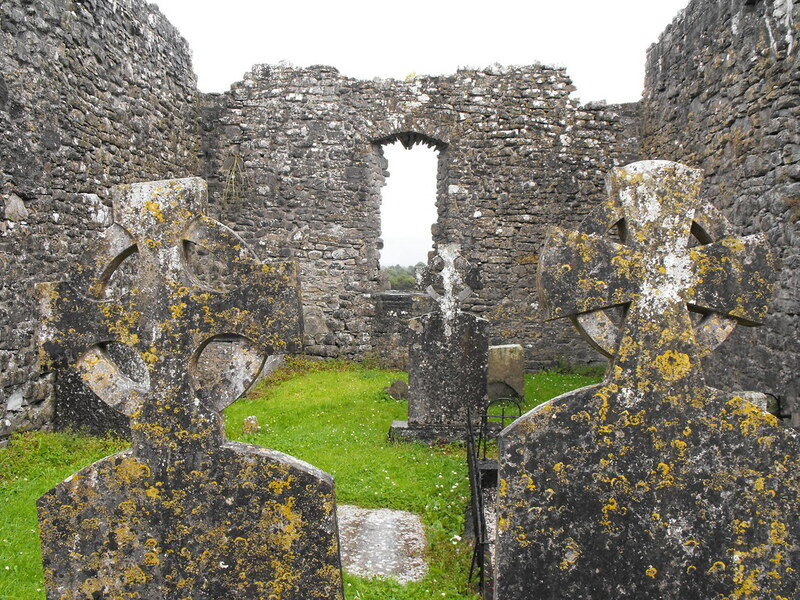 Masonry has been reused as gravemarkers in the graveyard. This site is a national monument...there are more deserving sites. Difficulty – Located on the roadside and has ample parking. Sorry about the slight blurry patches in the pictures. It was raining on the day I was there.